Corium Magazine Issue 1. Vol 26. Yep – long overdue it’s finally finished. Just a reminder that the magazine will now only be released quarterly and also available to everyone – not just BootCo. members. 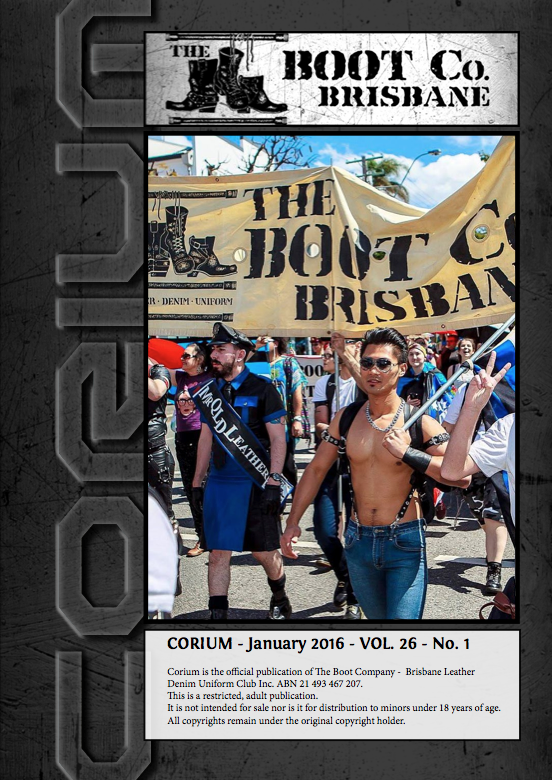 In this issue are the photos from the last few events, articles by MQL and QLB, info on upcoming events and info on the BootCo. Grants.